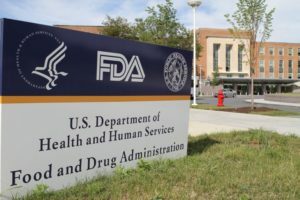 Last week, the Food and Drug Administration (FDA) granted accelerated approval to pembrolizumab (pem-broe-li-zoo-mab), (brand name Keytruda), a cancer immunotherapy manufactured by Merck & Co. for the treatment of adults and children with advanced cancers that have the microsatellite instability-high (MSI-H) or mismatch repair deficient (dMMR) biomarkers. Tumors with these biomarkers are commonly found in colorectal, endometrial and gastrointestinal cancers and less commonly in breast, prostate, bladder and thyroid cancers. This marks the first time the FDA has approved a cancer treatment based on a common genetic feature rather than a tumor’s location of origin (such as in the breast, colon, lung, etc.). Pembrolizumab is a PD-1 inhibitor, which boosts the immune system’s ability to attack tumors by blocking a protein called PD-1. It previously received breakthrough therapy designation for the treatment of certain cancers. This newest approval based on molecular features of the cancer was based on data from five uncontrolled, single-arm Phase I-II trials, which means all of the study participants received the drug and there were no control groups. A minority of the 149 total patients across the trials experienced partial or complete response, 32% and 7% respectively, which was defined as tumor shrinkage. Approval was also based on the durability of response, with continued approval subject to confirmatory trials. 78% of patients had a response lasting six months or greater, with treatment administered until disease progression, unacceptable toxicity, or for a maximum of 24 months without disease progression. Researchers have long classified breast cancers based on their genomic characteristics and adjusted treatment accordingly. Five years ago, researchers reported that some basal-like breast cancers (the majority of which are triple-negative) have more in common with ovarian cancer than other breast cancers, and there has been interest in grouping cancer types that may respond to similar treatments. While some have celebrated pembrolizumab’s approval as a “modernization” of FDA’s long-standing approach to approving drugs based on a tumor’s location in the body, there is cause for caution. First, not all marker-based approaches have been successful at treating multiple cancers with the same mutations. Studies of vemurafenib (vem-u-raf-e-nib), which targets B-RAF mutations, worked in nearly half of melanomas with that mutation, but showed a dismal 5% response among patients with colon cancers identified to have these mutations. This case has been regarded as the “poster child” for the importance of location in cancer immunotherapy and calls into question whether the findings from the latest pembrolizumab studies are generalizable to other types of genetically linked cancers. Breast Cancer Action has long held that new treatments should be proven to do at least one of the following: Improve overall survival (meaning patients live longer); reduce side effects; or if it does neither, cost less than therapies already available and therefore increase accessibility for patients. If a drug cannot be shown to do at least one of these things, there is no benefit for patients and it should not receive a new approval. Pembrolizumab does not meet these standards. Rather, its approval was based on surrogate endpoints that may or may not correlate with overall survival—a 7% complete response rate is less than encouraging—and adverse reactions, which are important indicators of quality of life and safety issues, were common in the trials. 20% or more of patients across the trials experienced fatigue, itchy skin, diarrhea, decreased appetite, rash, fever, cough, difficulty breathing, musculoskeletal pain, constipation, and nausea. Other serious side effects included inflammation of healthy organs like the lungs, liver and kidneys. In extreme cases, patients who took pembrolizumab died. Finally, while recent media reports have not included current cost estimates, the drug’s hefty price tag of $150,000 a year in 2015 means that it is likely to remain out of reach for many. 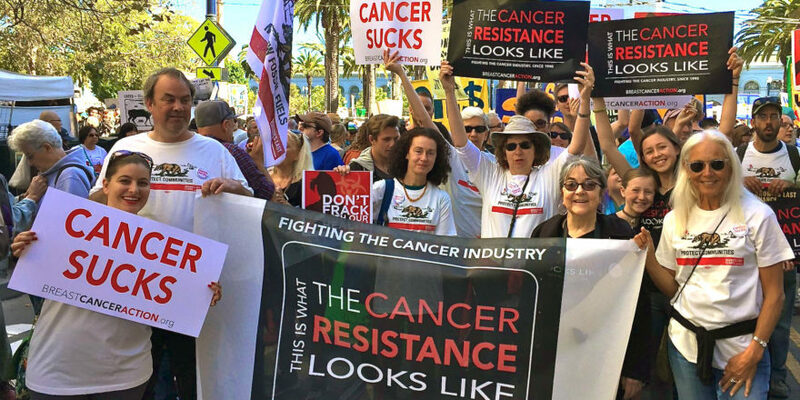 The staggering cost of cancer, aptly termed “financial toxicity,” is all the more exploitative for a treatment that has not been shown to extend or improve life for patients. Unfortunately, the drug’s accelerated approval does more for the pharmaceutical industry than it does for cancer patients. The data show that just a fraction of patients—out of an already small sample size—will experience any response on pembrolizumab; some will die from toxicity; and even though few will live longer or better, most will certainly be faced with exorbitant financial costs just to give it a try.